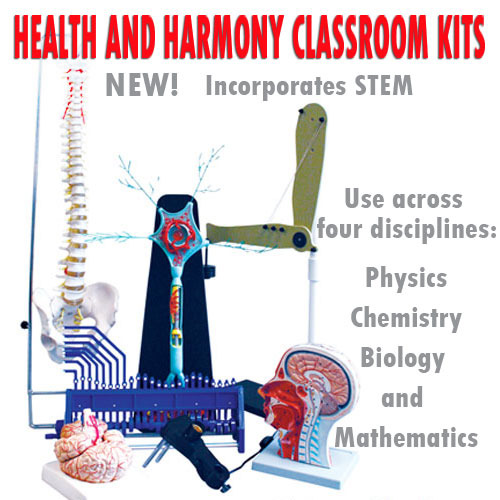 All the teacher needs in one book. Then copy models for students to make. 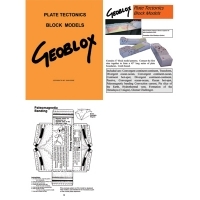 17 block model patterns include convection currents; formation of the Himalayas in 3 stages; continent hot-spot and others. The first 9 patterns can be connected together to form a 45" long series of plate boundaries. 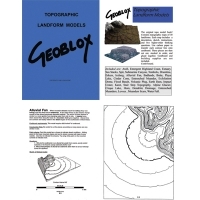 Geoblox Models: Topo Land Form. All the teacher needs is one book. Then copy models for students to make. 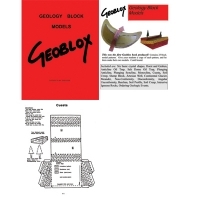 30 block model patterns include convection currents; formation of the Himalayas in 3 stages; continent hot-spot and others. The first 9 patterns can be connected together to form a 45" long series of plate boundaries. 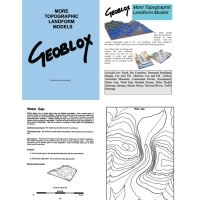 Geoblox Models: More Topo Form. All the teacher needs is one book. Then copy models for students to make. 20 new block model patterns expand on those above. Features include fjords; truncated headland; continental divide; escarpment; water gap; delta; terraced rivers; springs and more. 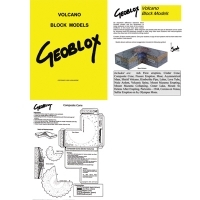 Use our book to copy 20 volcanic block models for your students to make. Unlike the illustrations in textbooks, our landforms are drawn without vertical exaggeration. This means the student is not confused about their actual size. Includes ash flow, cinder and composite cones, shield volcano, lava tube, Crater Lake, Mt. St. Helens after eruption, Corona on Venus, Olympus Mons and others. The teacher needs only one book to copy models for students to make. Unlike the illustrations in textbooks, our landforms are drawn without vertical exaggeration. This means the student is not confused about their actual size. 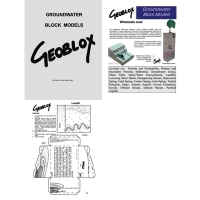 27 block model patterns include porosity and permeability; groundwater zones; water table; landfill; disappearing stream; depression; fault and contact springs; geyser and tundra polygons.